Cassie lives in a remote city, somewhere deep in the rural parts of Arizona. She sells houses, which – considering the mortgage-based crisis – is a job defined by nerve-racking experiences with furious customers. One day, a guy named Sonny visits the agency. In a strange series of events, Sonny kills Cassie’s boss and kidnaps the woman. Since that moment, Cassie begins her fight for survival. The crisis, which has hit the U.S. economy back in 2007, spawned many films commenting on the topic. While my personal favourite was an underestimated drama “99 Homes”, the audiences and critics fell in love with “The Big Short”. Plenty more included “Too Big To Fall” and “Wall Street: Money Never Sleeps”. And while most of them were rather serious, the most successful of them all (read: Oscar-winning “The Big Short”) was ironically displaying the self-invoked drama of the crisis. “Arizona” is seemingly serious, but Luke Del Tredici’s script is mostly focused on driving the car without the steering wheel. Cassie and Sonny quickly become acquainted with each other and the entire film is fuelled by their odd chemistry – a crazy take on the captor/captive trope. You see, Sonny has problems. At times, the director Jonathan Watson views him as a half-wit – a moron, who seems to do things ad hoc – even if it means throwing someone over the roof. Yet, Danny McBride takes the character deeper. The American comedian fiddles with Sonny’s mindset – he is a chameleon, a self-destructive being, which loves to view itself as a moron. McBride is excellent in this batshit crazy game. He clearly enjoys mixing a thriller-killer role, which often and quickly falls into a caricature. Sonny carries the film’s peccable pace. On the other side of the fence is Cassie. Del Tredici’s script bulldozers the structure of Rosemarie DeWitt’s character, making it flat as a hockey puck. She is reduced to tiny bits, where Cassie has actually something interesting to say. Other than that, she’s a lead, who exists solely for the purpose of bringing forward the supporting character (if that makes any sense at all). Cassie is fragile, but in a one-dimensional kind of way. Even if the script makes attempts at bringing her character to look like a macho heroine, Del Tredici and Watson are clueless as to the way of displaying it. “Arizona” is therefore a missed opportunity. The story tries too hard on multiplying plot twists, but they are insignificant with poorly designed characters. As a consequence, the rather limited running time of the film (around 80 minutes) stretches out like a nonchalantly created rip-off of something the Coins could have cooked up. 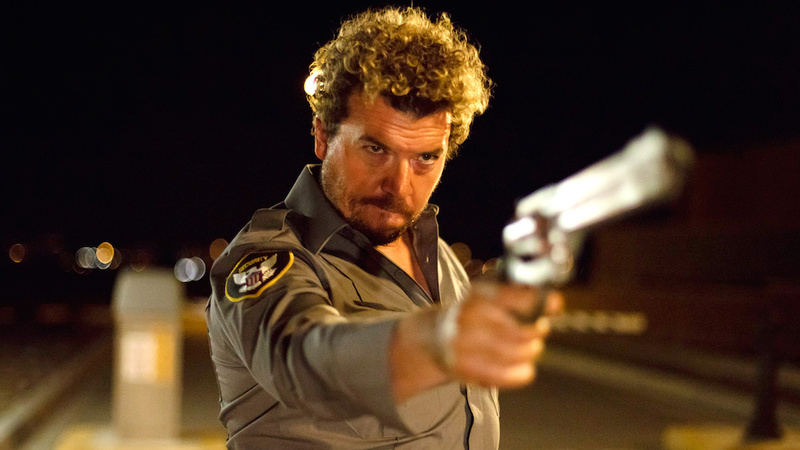 Hence, if you care to watch “Arizona”, do that for the sake of watching Danny McBride playing a character other than a foul-mouthed prick. Because in Watson’s film, he’s a foul-mouthed prick with a gun and mental disorder.